Previous: Is A Goat A Goat? Back home, he discussed his reservations with his brother when they were alone together. "Well, confirmations do lend credence and weight to any claim, but one must be careful whose endorsements one accepts in making one's decisions." "Humanity progressed by not reinventing the wheel and relying on other's authority and expertise, but things can go wrong with this system." "One day I'll tell you about the Milgram Obedience Study, which showed how far humanity can go and how much harm we can cause each other, when we rely on someone else's authority." "Third party confirmations can lead us astray if they come from dubious sources, or when the endorsers have themselves relied on some-one else's authority or recommendations." "You could end up being like the Met Service issuing dubious proclamations, or like the Indian Chief who relied on them to proclaim the Coldest winter ever." "How so?" asked Josh, "I do not understand." "Well, I read this blog post joke about an Indian Chief banking on the advice of US National Weather Service, that the coming winter was going to be pretty cold. He likely ended up with egg on his face, because he relied on someone else's authority." "In autumn one year, Indians on a remote reservation asked their new chief whether the coming winter was going to be cold or mild." "Their young chief had grown up in the city, so he had never learned the ways of his ancestors." "Not knowing the old secrets, he looked at the sky but couldn't tell what the weather was going to be like." "Winter is going to be cold," he ventured cautiously, "It would be sensible to be prepared." 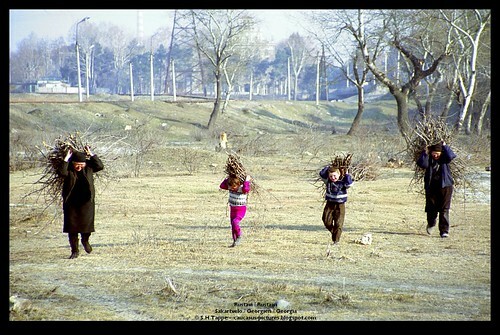 The tribe started collecting firewood. Being a practical leader however, he decided to get expert technical advice. The next time he had access to a phone; he called the Weather Service and asked, "Will this winter be bad?" "Shaping like it," was the answer. When the Chief was back with his people, he told them confidently to collect more firewood. "It is going to be bad," he pronounced. The next time he had access to a phone again, he thought he’d better check up again to see if the prognosis had changed. The advisory hadn’t changed. In fact, it had gotten worse. "How bad, can you say?" he asked. "Pretty bad!" the meteorologist responded. When the Chief was back again with his people, he advised them to collect every scrap of firewood they could find. 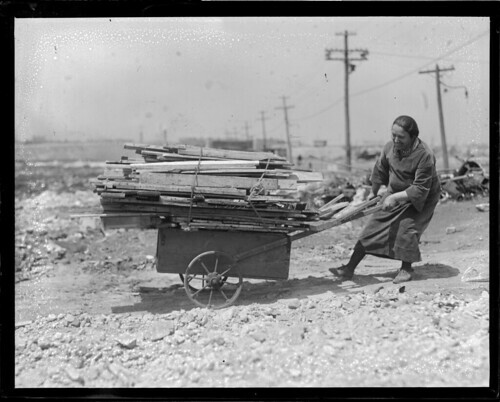 The firewood collection job became critically important to the Indians at the reservation. The Chief ensured that it took precedence over all other jobs. But it nagged the new Chief. Just in case the reading was wrong, he risked losing mana (face) in front of his men, especially after all their effort. So a couple of weeks later, he called the Weather Service again and asked, "Are you absolutely sure this winter is going to be very cold?" "Because the Indians are gathering shitloads of firewood!" said the voice over the wire. "So be careful," concluded Hosh, "who you put your trust in. Even though it is impractical to trace everything to source, it is important to do due diligence so you end up more right than wrong."